Verifier is an innovative technology designed to verify identity, events, deals, and any other kind of data. This is a blockchain based solution that verifies data quickly, accurately, reliably, and securely. The Verifier service is designed to meet the verification needs of two main markets - Business-to-Business (B2B) and Person-to-Person (P2P). Verifier helps buyer to be sure that the purchase is of proper quality and corresponds to the order. Verifier together with "National Public Monitoring" conducted a check of the readiness of sites for the 2018 Election. Imagine how the whole industry of notary services would change when Verifier app will become a common tool. By using Verifier Insurance company or its customers can easily verify occurrence of the insured event. Verifier offers a tool to confirm shipment or check availability of goods in containers. When buying / renting a car you need to check yourself car, documents of both parties to the transaction. When renting - check for a driver's license. We are offering a new verification technology – a solution that allows you to verify any event quickly, accurately and reliably. Transfer of any facts from the real world into the virtual while keeping the information unchanged. The bank’s client fills in a questionnaire on the website, uploads the copies of documents, and now the bank must verify the authenticity of the data. What if there are thousands of kilometers between the bank and the client? A bank transfers client data that need verification to the Verifier. The Verifier system analyzes the bank’s inquiry and creates a data verification task. The Verifier system chooses a competent executor for the verification. The choice is made according to the current position of an executor and in compliance with the level of access to personal data. The system assigns the bank’s task of data verification to the executor while pointing out what needs to be verified. The executor goes to the object of verification and collects the required data. The executor takes photo or video for the bank using the app. It’s important that the executor doesn’t have the ability to fake the data. The executor transfers the received data through the app using blockchain technology. The verified data is available to the bank and can’t be stolen or removed by third party. Verification is completed, the bank has received the information through the protected channel. The client has received the services from the bank. Anyone using a smartphone may become a Verifier by simply downloading the app and signing up. Verifier serves to connect the virtual and real worlds at a technological level. The founder of the EKF group, ALB, Metal-Industry. 16 years in the business, investor. Dmitry has been in the business sphere for more than 16 years. He has vast experience in the development and integration of IT solutions from square one in the field of e-commerce with more than 5000 users. He also has experience in the development of an app that monitors managers work all over the country based on Google Maps, and in the development of solutions for monitoring auto transport of more than a 1000 users’ companies. Experience with GR-segment in large Russian companies for more than 6 years. Server developer with 15 years of experience, and over eight years in the architectural design and development of high-load, fault-tolerant financial systems for banks. Successful experience in the development of high-load projects for more than 10 years. Graduate GeekBrains, and is a certified ios developer in Objective-c, iOS. Information security specialist. He is directly involved in the creation and development of the Verifier iOS platform. Every day-new knowledge. The more complex and unusual the task, the more interesting it is to solve it. My main goal is personal and professional daily development and growth. I am a person with an active life position and I have always been attracted to work in a well-coordinated team and on projects that make the world a better place. For me, this project was Verifier. Who are the Verifier team members? A fairly strong team has picked up: EMBA listeners Skolkovo, the CEO of the largest companies, the vanguard of Russian business. It is with this team that projects are being implemented, designed to change the world forever. Together they developed the product, discussed its positioning, planned events, monitored the market. All together, after graduation, they opened the company Varifaer, filigree selected a team of efficient operating staff and contractors interested in achieving the final result. And he did not keep himself waiting: the promo version of the product with the test script for verification is already ready. How did the Verifier project team form? The project team was initially formed on the basis of SKOLKOVO training Executie MBA is an international business education for top managers and business owners. It was there, at one of the lectures, the founder and ideological inspirer of the project, Dmitry Nazarov, who came to understand the need to transfer events from the real world to a virtual reality where the accuracy and unchangeability of information can be guaranteed with an absolute guarantee. As a business owner, Dmitry constantly faced with the problem of data verification when opening accounts in banks. Verifier exists as an end product, as a mobile application or computer version. But its potential as an open source solution is more interesting. After all, it is in this case that the client can scale and change the functionality of the system according to the requirements of his particular business. The main thing remains in the end: a reliable, fast simple and inexpensive confirmation of an event, action, personality. How did the idea of creating the Verifier project come? I was finally able to formulate my idea of ​​modernization of the scheme with two cases from life. The first story about my partner in one of the businesses, which concluded a contract for the repair of a new office in Novosibirsk with the company contractor, evaporated immediately after receiving the advance payment. 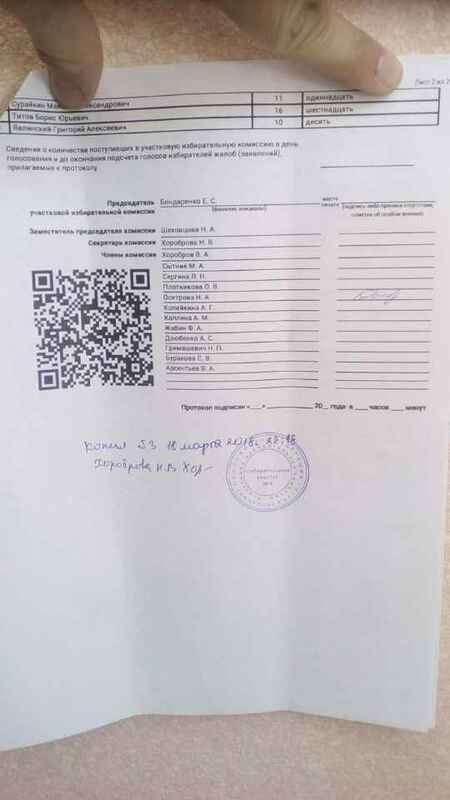 The court found out that the signature on the contract is not valid, the company does not exist at the actual address in Novosibirsk. The second incident occurred to me. I planned a vacation in Dubai, chose a hotel from numerous photographs, studied the reviews about it in various sources, paid for vouchers. Arrived with the whole family in the hotel and found that the photos corresponded to reality only in part, tk. were made from one angle, from the other it was clear that the building was not completed, which caused a lot of inconvenience, and, in the end, spoiled the rest. The idea came lightning fast. If we can not solve the problem with the help of decentralized machines, we can solve it with the help of decentralized inhabitants of our planet. If for consensus in the virtual world it is necessary to have two or more independent computers, then, in the real world, let it be independent, randomly chosen people. How do you plan to promote the project? We will use marketing in all its glory. Having shown activity at the most top events around the world, the media will talk about us. We will radically change the value of verification and draw the attention of the whole blockbuster community.